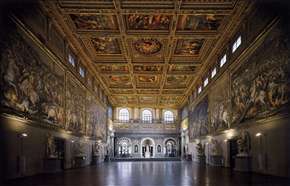 Of this last session at Florence the principal labour was the Act embodying the Papal guarantees which was intended to safeguard the legitimate independence and decorum of the Holy See on the lines formerly advocated by Cavour. Neither extreme party was satisfied, but it seemed at first not unlikely that the Pope would tacitly acquiesce in the arrangement. The first monthly payment of the national dotation, calculated to correspond with his civil list, was accepted. But though the influence of Cardinal Antonelli and the Italian prelates had been sufficient to keep the Pope in Rome, the influence of those who wished him to leave it was strong enough to establish at the Vatican the intransigent policy which has been pursued till now. 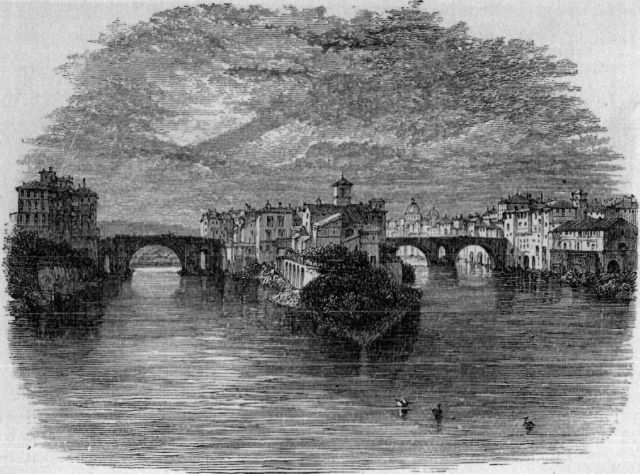 During the flood of the Tiber which devastated the city that winter, the King of Italy paid a first informal visit to his capital, accompanied only by a few attendants, and bent on bringing help to the suffering population. In July 1872, he made his solemn entry, and at the same time the seat of Government was transferred to the Eternal City. Victor Emmanuel could say what few men have been able to say of so large a promise: 'I have kept my word.' He gathered up the Italian flag from the dust of Novara, and carried it to the Capitol.But forgot to say that without Napoleon the third all would have been in vain whatever had been the negative aspects of the Emperor. Cavalry jacket from the Franco Prussian .No its not , Uwe put in a comment saying its an 1809 uniform from the Bavarian cavalry.Sorry!!!!!! In spite of the grandeur of republican tradition in Italy, and the lofty character of the men who represented it during the struggle for unity, a study of these events leaves on the mind the conviction that the country could neither have been freed from the invader nor welded into a single body-politic without a symbol which appealed to the imagination, and a centre of gravity which kept the diverse elements together by giving the whole its proper balance. The Liberating Prince whom Machiavelli thought to have been found in the Savoyard King. 'Quali porte se gli serrerebbono? Quali popoli gli negherebbono la obbedienza? Quale invidia se gli opporrebbe? Quale Italiano gli negherebbe l'ossequio?' To fill the appointed part Victor Emmanuel possessed the supreme qualification, which was patriotism. But the real symbol had always been the Garibaldian and their leader and without Garibaldi there would have been no real rising against the Austrians.Risings are made by the middle class and the ones that enforce are the peasants. Jealousy, such is the Italians worse trait always took hold.The General had kept the fire hot when others had decided enough was enough, he alone carried the war to the foe and others followed his courage as well as being green with envy. He may have made mistakes but they were honest ones.Nevertheless he was not liked by many. The doer is often disliked by the mouse. Though the King came of an ambitious race, not even his enemies could with any seriousness bring to his charge personal ambition, since every step which took him further from the Alps, his fathers' cradle, involved a sacrifice of tastes and habits, and of most that made life congenial. But he was ambitious and therefore saw himself as a real leader of men. When his work was finished, though he was not old, he had the presentiment that he should not long survive its completion. And so it proved. There was no repetition of the scene at San Rossore; the highest authority had already sanctioned the administration of the Sacraments to the dying King, nay, it is said that the Pope's first impulse was to be himself the bearer of them. At that hour the man got the better of the priest; Francis drove out Dominic. The heart that had been made to pity and the lips that had been formed to bless returned to their natural functions. When the aged Pius heard that all was over, exclaimed: 'He died like a Christian, a Sovereign and an honest man (galantuomo).' Very soon the Pope followed the King to the grave, and so, almost together, these two historical figures disappear. 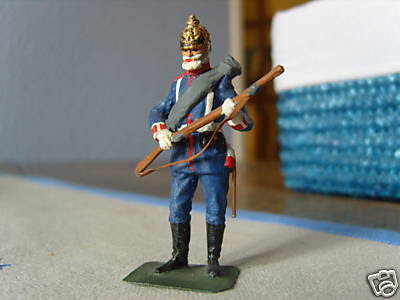 dorset do a nice line in the franco prussian war albeit copied from britains.they do the things that Britains might have done.They also do some soldiers from the wars of Italian liberation. his heart gnawed with the desire of the extreme, as the hearts have been of all those who aspired less to change what men do, or even what they believe, than what they are. More deep than political regrets was the pain with which he watched the absorption of human energies, in the race for wealth, for ease, for material happiness; he discerned that if the egotism of capital led to oppression, the egotism of labour would lead to anarchy. 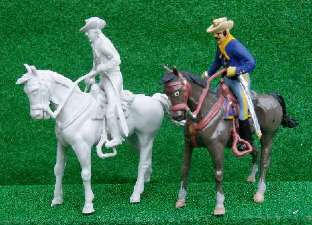 these models from divinia hill would be easy to convert into soldiers of our period. You could easily put kepis on these or you could look at the other pieces from Divinia Hill and use more elaborate "spares". To the end he preached the moral law of which he had been the apostle through life. His last message to his countrymen, written when the pen was falling from his hand, was a warning to Italian workingmen to beware of the false gods of the new socialism. When others saw darkness he saw light; now, Cassandra-like, he saw darkness when others saw light; yet he did not doubt the ultimate triumph of the light, but he no longer thought that his eyes would see it, and he was glad to close them. Garibaldi arrived in Marseilles on November 7, 1870, to a cool reception. The French commanders were unsure of the wisdom in bringing on Garibaldi, as well as harboring old feelings of distrust, as they had been enemies until a short time ago. Garibaldi was initially put in charge of a few hundred Italian volunteers, but after much arguing took command of 5,000-15,000 men. Garibaldi who went to France and assumed command of the Army of the Vosges(below), an army of volunteers that was never d efeated by the Germans. The volunteers included men from Poland, Italy, Ireland, England, Spain and America. 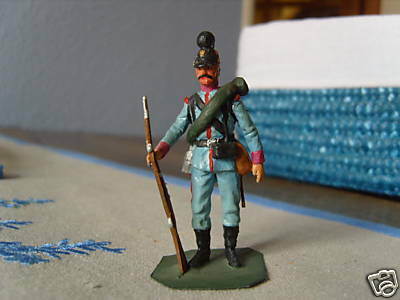 The Army also included Frenchmen who were loyal to their country, but uninterested in the constraints that joining the regular army would have brought about. These men were often members of a francs-tireur, guerrilla forces that fought outside the scope of the regular army. 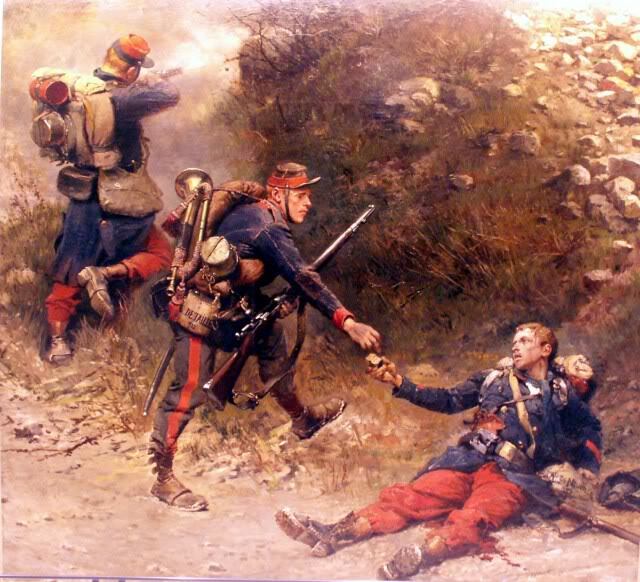 The Army was organized into four brigades, “the first commanded by General Bossack, the second by Colonel Delpeck, … and the third by Menotti [Garibaldi, Giuseppe's son].” The fourth brigade was under the command of Ricciotti Garibaldi, another of Giuseppe’s sons. The chief of staff for the Army of the Vosges was General Bordone, the man largely responsible for Garibaldi going to France. Among other things, Bordone was in charge of procuring any supplies that the Army might need. The campaign started out impressively enough. On November 14, 1870, a small force led by Ricciotti Garibaldi surprised a Prussian force of one thousand men at Châtillon and won the day. Giuseppe issued an order of the day detailing this victory. 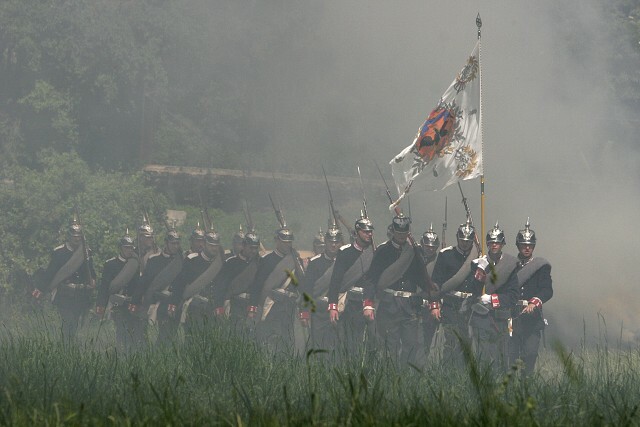 The francs-tireurs of the Vosges, the chasseurs of the Isère, the (Savoyard) chasseurs of the Alps(below), the battalion of the Doubs, and the Hâvre chasseurs, all of whom, under the direction of Ricciotti Garibaldi, have taken part in the affair at Châtillon, have deserved well of the Republic. Being only 400 strong, they attacked about 1000 men, defeated them, made 167 prisoners (including 13 officers), and took eighty-two saddled horses, four fourgons of arms and ammunition, and the mail waggon. 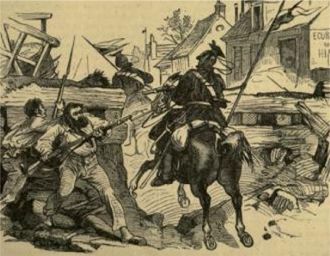 (sic) On our side there were six men killed, and twelve wounded; the enemy had more. While this was great news to the army at large, it would prove to be a problem for Garibaldi’s men. With such an astonishing victory over a superior force, the army developed a false sense of security. 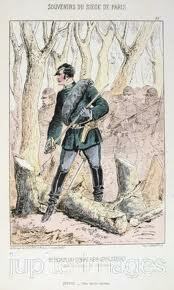 For the rest of the Army of the Vosges, the campaign started a few days later in November 1870. 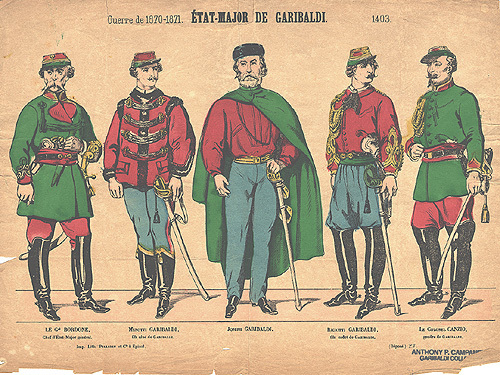 The city of Dijon was under siege by the Prussian army, so Garibaldi and his men set out for Dijon, intent on helping the citizens defend their city. Just a few short miles from the city, the army received word that the city had surrendered. Upon hearing the news, the army headed back towards Autun(below). 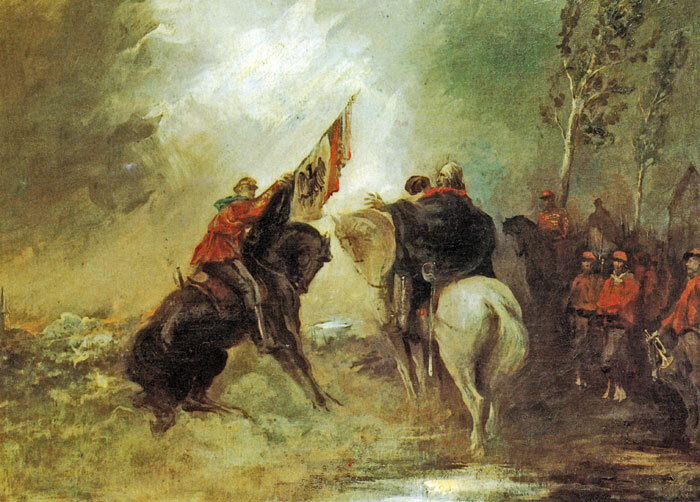 On the march back, Garibaldi began to consider returning to Dijon in an attempt to regain control from the Prussians. 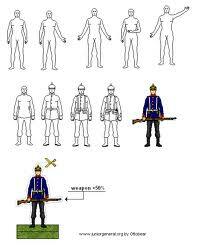 He felt that attacking at night would minimize the effect of the Prussians far larger numbers. As the army headed towards Dijon, they passed through Lantenay, where, standing atop a plateau, they spotted a contingent of the Prussian army headed their way from Dijon. Garibaldi and his officers decided that this was their chance to make an impact. they prepared the field of battle to their advantage and waited. Once the Prussians were within range, the army began to fire on the Prussians, who, caught by surprise, fought for a moment then retreated. Sensing victory, Garibaldi pursued the retreating army all the way back to Dijon. In a nonstick skillet, saute onion and garlic in oil until tender. Stir in the wine or apple juice, mustard and pepper. Bring to a boil. Reduce heat to medium-low. Add shrimp; cook and stir until shrimp turn pink, about 5 minutes. Stir in tomato; heat through. 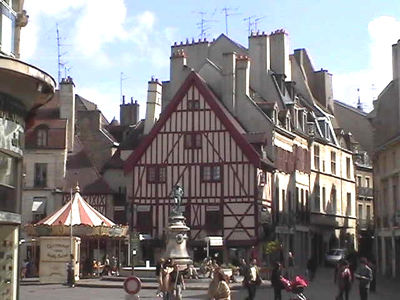 The Prussians arrived at Autun and laid siege to the city. Just as it appeared that all hope was lost, General Carl Wilhelm von Werder recalled his troops to Dijon. General von Werder had noticed a build up of French troops near Dijon and therefore wanted the army back to help defend the city. This was not to be however, as shortly after the arrival of the army to Dijon, in late December, von Werder ordered that the city be evacuated. With the Prussian army gone from Autun, the Army of the Vosges had precious time to recoup and recover. In addition to the rest, the time also gave the to Army time to plan. It was decided that the Army, along with other French forces, would return to Dijon, now unoccupied, and hold the city once more. Due to the winter weather, getting the Army to Dijon took some time. 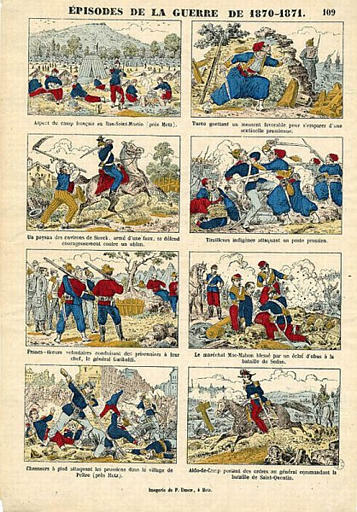 The battle for the Army of the Vosges resumed on January 21, 1871. 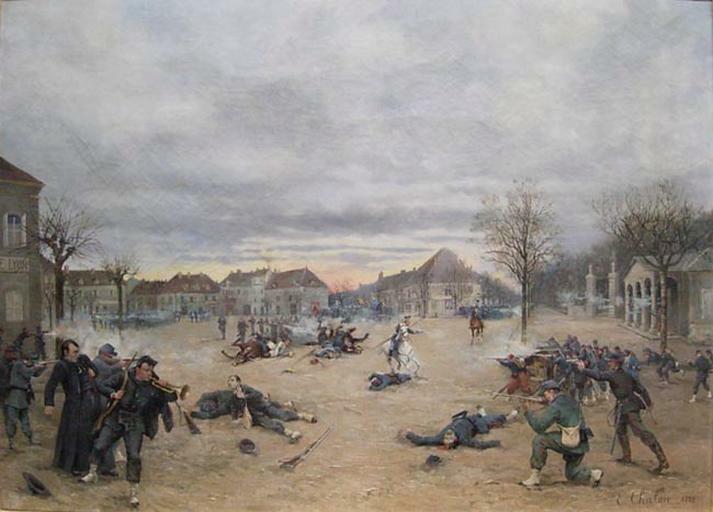 The Prussians attacked Dijon from the West in great numbers; however, the French had been preparing and the defenses of the city were well in place. The two armies went back and forth for three days, each time one army made headway, the opposing army would push back, gaining ground. On the fourth day, The Prussian army pulled back and the fighting ceased for a while. The fighting renewed the next day and continued sporadically until January 31, 1871. At this point, the Army of the Vosges was tired and had taken many casualties. Because of this, the Army of the Vosges pulled out of Dijon and retreated to Courcelles. 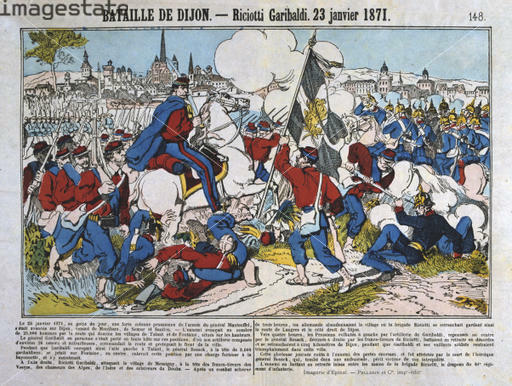 The Prussians once again held Dijon, beginning the morning of February 1, 1871. "The French government surrendered Paris to the German army at the end of January, and brought the war to a close." They were humbled in the greatest way and shown to be the incompetants that they really were, in fact a league of incomparable incompetants with Austria and Italy featuring too. The Army disbanded and Giuseppe Garibaldi was elected to serve in the National Assembly of Dijon. Garibaldi wanted to attend and speak at the first meeting of the National Assembly; however, he was shouted down by french who still showed arrogance despite and in the face of abject humiliation from the germanics, disgusted swith these ants of men he therefore resigned his seat and returned to Italy. 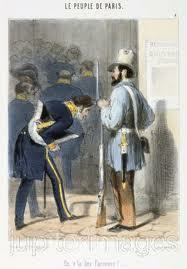 After the latter, Garibaldi's long career as a soldier came to an end. After serving some years as a deputy for Rome in the Italian parliament, he spent his last years on a farm in Caprera writing novels. Less sad, notwithstanding his physical martyrdom, were Garibaldi's last years. Italy showed him an unforgetting love; when he came to the continent, the same multitudes waited for him as of old, but instead of cheers there was a not less impressive silence now, lest the invalid should be disturbed. 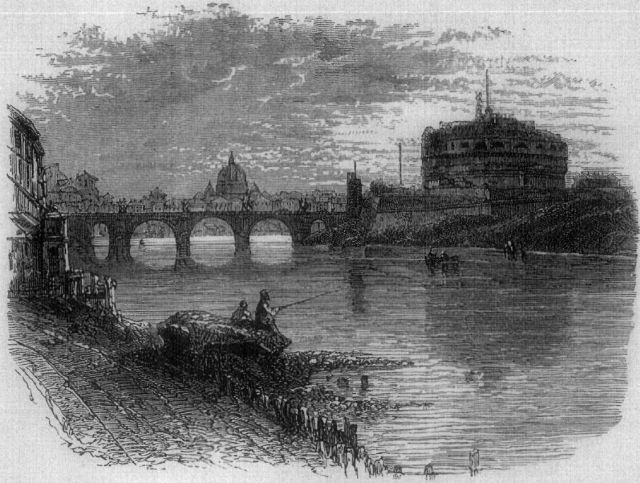 Soon after the transfer of the capital he went to Rome to speak in favour of the works by which it was proposed to control the inundations of the Tiber, and it was curious to hear it said on all sides that, of course, the Tiber works must be taken in hand as Garibaldi wished it. And we should not forget the thanks given by Italian heads of state to the woman who had really started the rising against the Austrians in 48 and before. The thanks were nothing and no one of government attended her funeral. 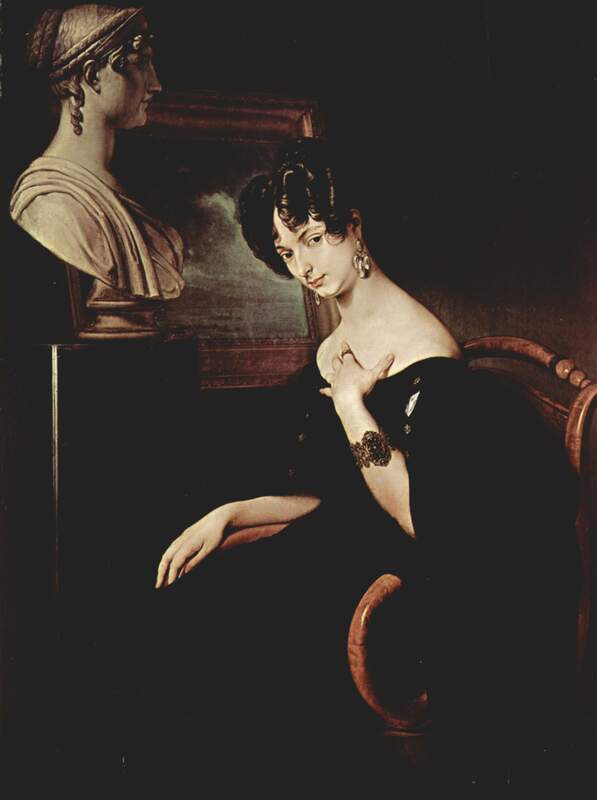 Cristina Trivulzio was the daughter of Jerome Trivulzio and the Marquises Gherardini. Her father died soon after her birth and her mother remarried to Alessandro Visconti of Aragon; she had a stepbrother and three stepsisters through this second marriage. By her own account "I was as a child melancholy, serious, introverted, quiet, so shy that I often happen to burst into tears in the living room of my mother because I realized that I was being looked at or that they wanted me to talk." She had began associating with Mazzinian revolutionaries through her art teacher Ernesta Bisi and stepfather Marquis Alessandro Visonte d'Aragona. This brought her to the attention of the Austrian authorities and she fled penniless to France. Her husband sent her money, and she bought at apartment close to the Madeleine, although she lived in relative poverty. Eventually more money was sent, and she moved house and set up a salon. During the 1830s and 1840s her Paris salon became a meeting place for Italian revolutionaries such as Vincenzo Gioberti, Niccolò Tommaseo, and Camillo Cavour. She also associated with the European artistic intelligentsia, including Alexis de Tocqueville, Honoré de Balzac, Alfred de Musset, Victor Hugo, Heinrich Heine, and Franz Liszt. Other acquaintances were the historians Augustin Thierry and Francois Mignet who would play a major role in her life.It was at her salon that she hosted the famous March 31, 1837 duel between Liszt and Sigismond Thalberg to determine who was the greater pianist. Belgiojoso’s judgment was, "Thalberg is the greatest pianist, but there is only one Liszt." In the 1848 Italian revolutions, she organized and financed a troop of soldiers and fought in the Milanese uprising against the Austrians for Italy's independence . After the insurrection failed, she returned to Paris and published articles in the influential magazine Revue des Deux Mondes describing the struggle in Italy. In 1849 she returned to Italy to support the Roman Republic formed in the Papal States by Mazzini and others. She became a hospital director during the brief life of the republic until it was suppressed by French troops. Cristina fled, accompanied by her daughter, first to Malta and then to Constantinople, from where she published an account of the republic and its fall in the French magazine Le National in 1850. She brought land in the remote Ciaq-Maq-Oglou area and then traveled to Syria, Lebanon and Palestine. Cristina published accounts of her experiences in the orient and found the condition of women there particularly disturbing. She published Of Women's Condition and of their Future (1866) in which she argues that deprived of education, women come to accept the oppressive conditions in which they find themselves. She lived in exile in Turkey for eight years before returning to Italy in 1856 and working with the statesman Camillo Benso Cavour for Italian unification which was achieved in 1861. 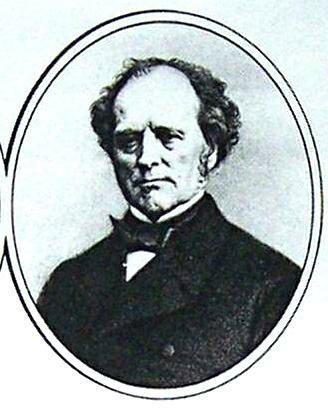 In 1858 her estranged husband Emilio still legally her spouse died. A few years later she was finally able to legitimize her daughter, Mary. 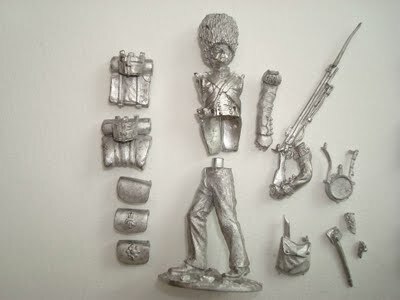 The range currently includes soldiers of the following armies/troops: - British : Guards, Highanders, Line Infantry, Rifles - French : Zouaves, Light Infantry - Russian : Infantry and Artillery - Turk : Line Infantry Most of the kits come with a variation of heads, equipments, arms... this allows a huge number of variation in the figures. And I have plans to extend the range but its too soon to say more about that. Some of the kits are already available. 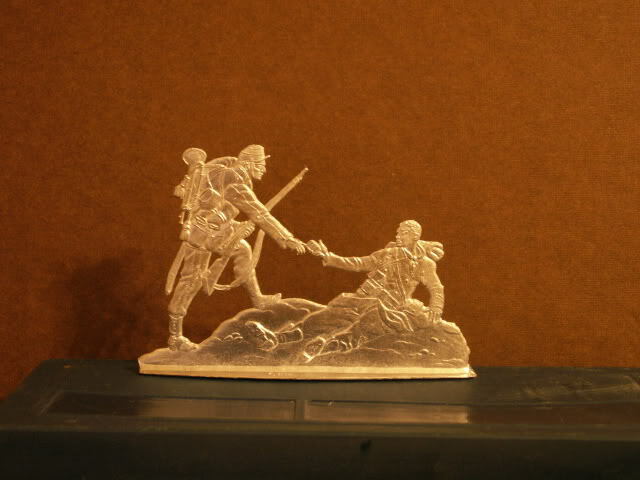 For the others, I'm in the process of making some new castings made by a renowned company. 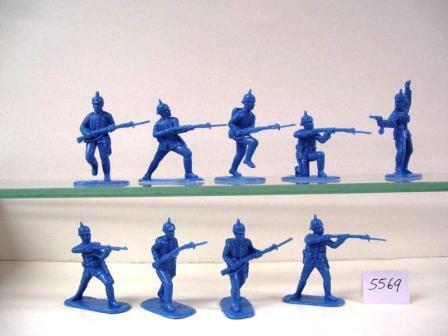 If you are pretty good at conversions a lot of soldiers for the Austrian Italian conflict could be made from these.The story of the Alma firm is a bit sad because they started with great intentions and then sold everything off because of low sales (it seems). This is the story of many companies, if you start one up only do so to please yourself, never think you are going to get rich, you won't. great photos as usual on your blog! The Prussian cavalry uniform you show is from the Bavarian army museum in Ingolstadt and I am sorry to say it is a 1809 infantry-uniform of the 13th regiment.